Local television and online news outlets need a new business model. Viewership alternatives and newsroom operating expenses are increasing while viewership and revenue are lacking. 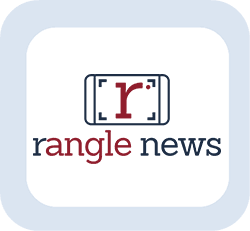 Rangle News is a news technology company that aims to improve the business model of local news outlets and improve the experience for local news consumers. In today’s climate of news-media skepticism, actively involving local news consumers as ‘News Ranglers,’ will help regain their trust and give them the opportunity to let their communities see real news from every unique angle. A smartphone application (for Android and iOS) that helps ordinary people get paid for shooting local news stories. App users can simply use their smartphones to rangle photos, videos, and eyewitness accounts of breaking news happening near them. They can even accept customized coverage requests from local newsrooms! Compared to the social media platforms on which people post their newsworthy content today, the Rangle News content platform provides newsrooms with authentic, reliable, timely, and on-demand content that is formatted to fit appropriately within the technical parameters of professional newsrooms.